10 Sites to Find Free Stock Photos for Small Businesses - 5280 Design Co.
Stock photos are not always the best thing for academic work or books, but they can sure come in handy when you need some images to fill up your presentation, make a great cover image for an ebook, or use for an online article. These photos are great for personal as well as commercial projects if you don’t want to spend a lot of money on real images or hire a photographer. Some of them are truly breathtaking and the moment you see them, you fall in love with them. With the number of websites offering stock imagery growing with the passage of time, there’s no fear of finding the same photos at many other places. So, if you have decided to use free stock photos for your project, here is a list of some websites where you can get amazing and high resolution images. Unsplash – The site offers some remarkable images under the creative commons public domain license. 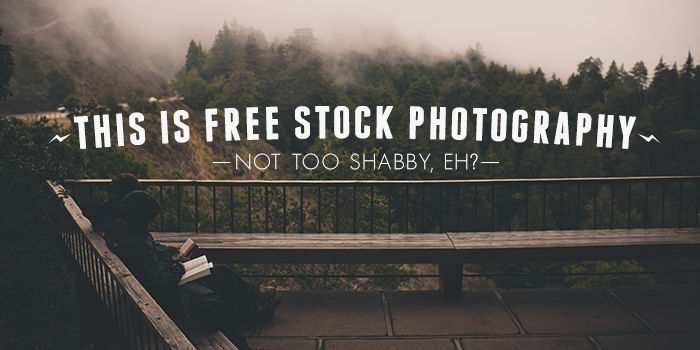 It has recently become one of the hot favorite resources for finding free stock photos for many people. Their nature-centric photos are truly amazing. Splitshire – Here you can find completely free photos to use for personal and commercial projects. Web designer Daniel Nanescu offers his collection to general public. Startup Stock Photos – Best for startups, this site is highly recommended if you’re looking for business-type photos to add to your collection. Gratisography – If you’re looking for photos with real people in them, this is the place for you. There are no copyright restrictions so you can use the images in any way you want without worrying about licenses and attributions. Life of Pix – This site is full of interesting stock photos comprising of high-resolution images that are added weekly to the database. There are no copyright restrictions so you don’t have to add an attribution or a link with the image. They are free for personal and commercial use. Each image comes with a catchy caption to make searching easy. PicJumbo – If you want a free subscription to receive new photos right in your mailbox, PicJumbo offers everything you need. Their incredible startup-like photos are sure to impress you. New Old Stock – This one offers a huge collection of old photos and since these are not new or fresh, there are no copyrights to be scared of. Pixabay – This is another easy-to-use and very useful stock photography site with real photographs and images for startup websites and small businesses. There are not many photos though and so you won’t find any photos in some categories. Foodies Feed – Looking for some delicious, foodie photos for your website or academic project? Here is one site dedicated to only food with 1000+ images in different categories without any copyright restrictions. Negative Space – Negative space is welcomed for images that make up a logo or a similar pictorial representation. If you’re in need of such photos, this site is for you. The photos here are not only free, they also offer negative space for designers to overlay text.